Dahua Group Australia’s $1 billion New Breeze community in Sydney South West’s Bardia suburb hit 320 land sales, valued at over $140 million. After launching in April last year, the sales figures make it one of the fastest selling master planned community in Sydney’s South West growth corridor. “Much of its success can be attributed to its proximity to existing and future infrastructure," New Breeze Sales Manager Jesse Johnson said. "Bardia Public School, Bambi Kindergarten, Edmondson Park train station and the future Edmondson Park Town Centre are either adjacent to or a short 400 metre walk from the development." Dahua also responded to the NSW Department of Planning & Environment’s calls this month for medium density and terrace housing to meet surging population demand. It introduced twenty-two townhouse style dwellings to provide affordable housing options for a wide range of purchasers. “In addition, the State government is investing millions of dollars in additional infrastructure to support the growing population in this region. New Breeze is positioned in the epicentre of this activity," Mr Johnson said. The State government committed to invest over $3.6 billion in its Western Sydney Infrastructure Plan over a 10 year period. Investment in transport (bus and rail), health, education and community infrastructure is part of this plan. Billions will also be invested in the proposed airport at Badgerys Creek. Campbelltown’s population is forecast to grow from 158,941 to approximately 300,000 by 2036 according to the National Institute of Economic and Industry Research 2015. 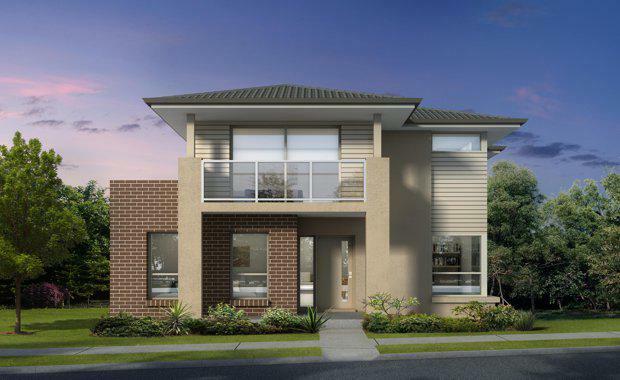 This gain will position Campbelltown at the forefront of Sydney’s metropolitan development. Mr Johnson said Bardia is growing rapidly with house hunters of all ages and budgets looking for a diverse range of new dwellings. "Purchasers were requesting new housing solutions which drove the decision to introduce the townhouse style product. "Dahua expects to launch stage two of New Breeze in April, comprising over 200 land lots. The first residents are expected to move in early 2018. New Breeze will comprise 1280 new homes with a range of housing types to suit all lifestyles and budgets. The development will include large high quality parks and playgrounds, a sports oval, bike and cycle paths and 40 hectares of open spaces for recreational activities.